Working with property managers and local councils, we carry out proactive and efficient refurbishments in short timeframes to transform a space from one function into something more suited to the owner’s vision. From small residential properties to large commercial premises, we are specialised in carrying out meticulous refurbishments that serve to enhance and improve buildings; helping to breathe new life into tired spaces whilst embellishing and enriching working and general environments. Thanks to our dedication and expertise in this sector the team at E.S Moss have become a market leader in refurbishment and has gained a reputation that has seen us work in close relationship with a number of property professionals on projects as diverse as 14th century churches right the way through to state of the art medical facilities, alongside high-end residential properties and 1960s school buildings. 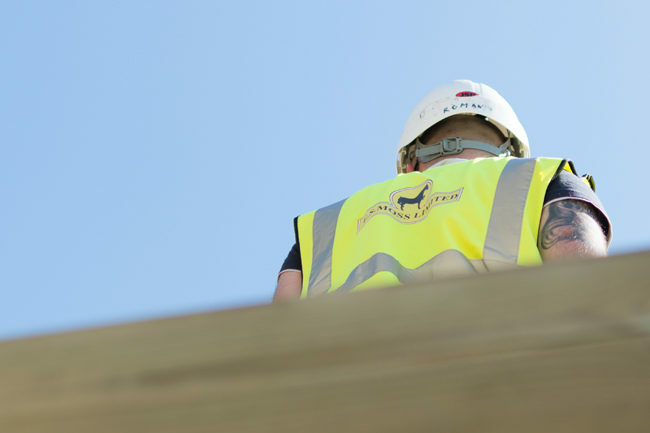 Most importantly, when working on these projects we work hard to gain a comprehensive understanding of your business during the initial site survey, allowing us to design a plan that allows us to minimise disruption whilst still carrying out and completing the project in an efficient manner and to the very highest standard. This means we gain a robust understanding of the unique factors that will underpin the successful transition from tired and outdated to fresh and vibrant. Our team work hard to gain a clear understanding of the environment; and use this knowledge to create a strategy that is proactive, professional and polished. 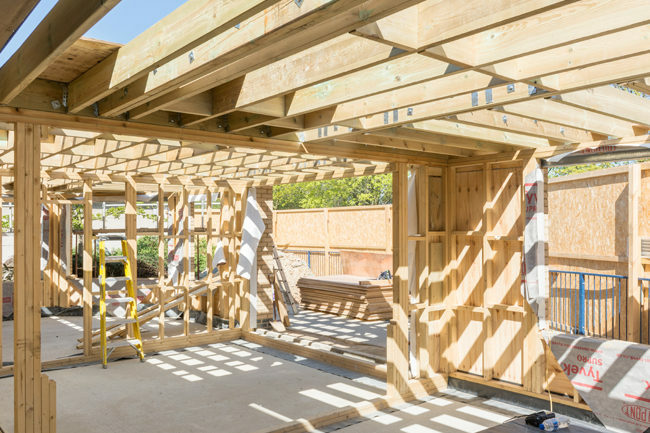 A crucial part of our process, we want to make sure that we gain a full grasp of your expectations so as to help ensure* your renovation is in line with your long-term strategy and works around the needs of your business, and (also) helps ensure* you boost profitability in an efficient and timely manner. 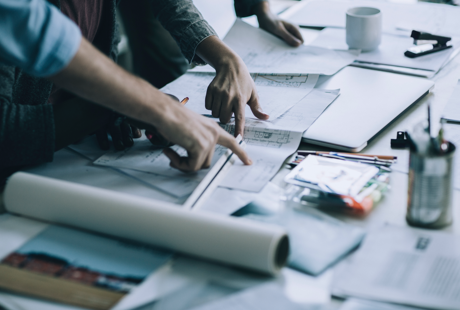 At E.S Moss we work to make sure strategy is clear and thorough, to ensure we can offer a timely and cost-effective project that delivers on time, in budget and meets your expectations precisely. We are able to guarantee this thanks to the quality of our team as well as our years of experience and expertise. 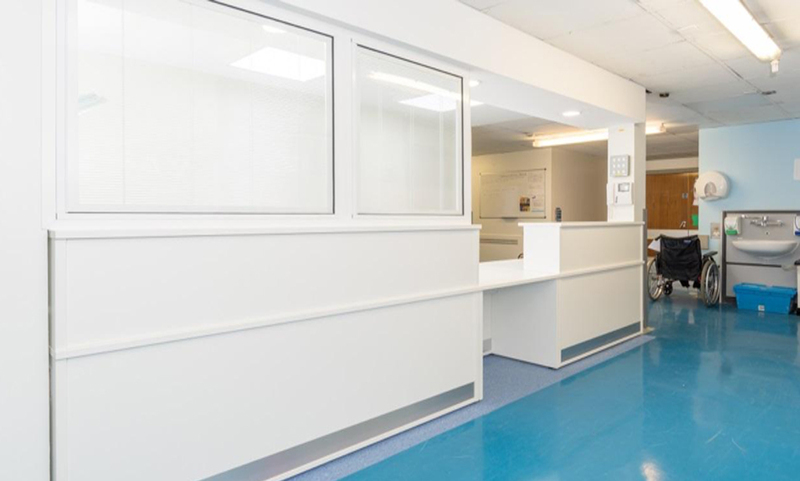 To upgrade a Nurse Station and Medical Store in Critical Care Ward which is used as a live in ward for patients with chronic illnesses and severe injuries.